After spending a couple of days in orientation, we planned a full day to see: 1) Westminster Abbey; 2) The changing of the Guard; 3) The House of Commons and the House of Lords. Amazing it all worked (kind of). 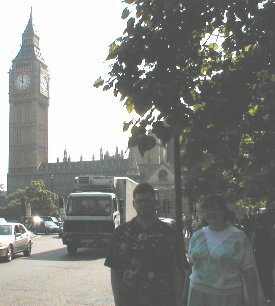 Starting out in the shadow of Big Ben again. Do you know what Big Ben is? is too good to pass up. 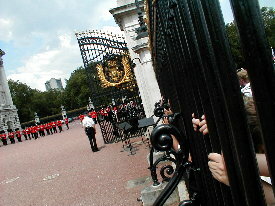 At the changing of the Guard a daily show of pomp and circumstance is presented at Buckingham Palace. 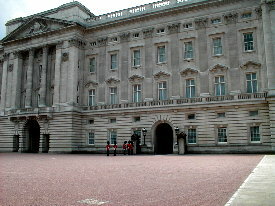 Here the military guard. 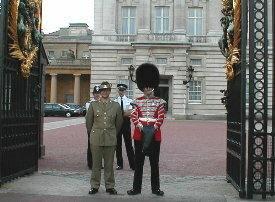 Now comes the Coldstream Guards wearing the traditional bearskin hats. Very impressive. No one mentioned how the bears feel about it. 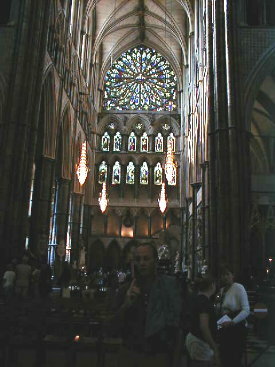 Precision, color and too many people. 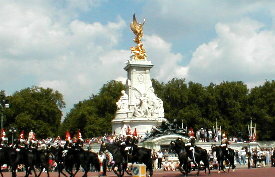 Queen Victoria, the face in profile about halfway up the right side of the white monument, presides over the entire affair. 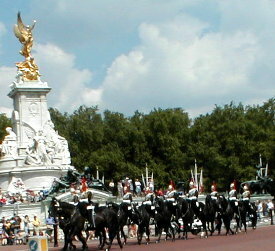 The Royal Mounted guard follows the Coldstream Guards. 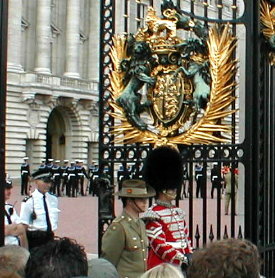 In these two pictures we see the Coldstream Guard and the Australian military guard guarding the Palace. 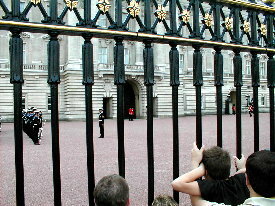 The London Bobbies behind them are guarding the guards. Here the Aussie drill team struts its stuff. 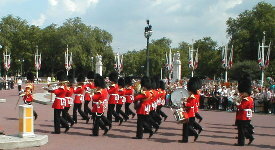 A sudden shift in the surface of the earth nearly upset the Coldstream Guards' formation. But they held steady. 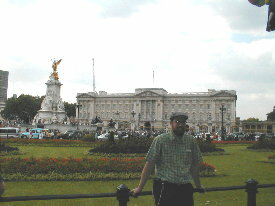 Here Erin has turned his back on the Palace and all it represents. Not too shabby for a second, or is it fourth, home. The setting in the middle of a large park is more beautiful than the building. 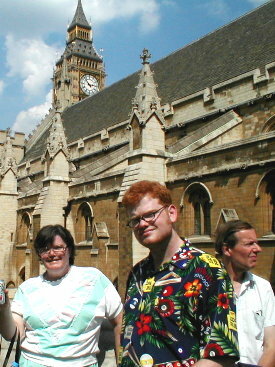 These fine folks spent hours in line waiting to get in the House of Commons. It was HOT. They saved a place in line for Tom and Erin as they went to the American Bar Association convention which was meeting in London. 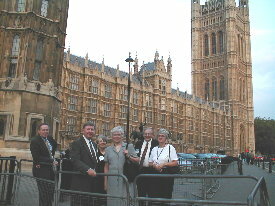 Here are three attorneys from South Dakota, and their wives, standing outside Westminster Palace, aka the Parliament Building. 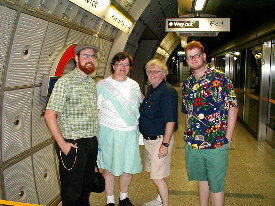 Our day ends, as it began, in the London Tube system. You can see we keep following those "Way Out" signs.